People have been interested in alternative ways to sanitize their swimming pools for quite a while. Usually, this means someone is searching for a viable alternative to chlorine. They are tired of lugging pool chemicals, don’t like the smell of heavily chlorinated water and believe chlorine can be harmful to the eyes and is generally not safe for the family. Just be sure to understand that a pool without chlorine may be safe for harmful organisms, so understand the limits of alternatives to chlorine. When looking for alternatives to chlorine, it’s important not to lose sight of the reason for chlorine’s popularity. According to the EPA, a sanitizer (or purifier) must be able to inactivate or kill 99.9% of ALL microbials in a sample – viruses, fungi and bacteria. There are only two true additive (non-mechanical) sanitizers for swimming pools: chlorine and biguanides. Microbes, if allowed to remain and multiply in the pool, would present the greatest danger to swimmers. Bromine is also an excellent sanitizer but is used primarily for spas and hot tubs because of its tolerance to high temperatures. Bromine tablets are small and very slow to dissolve, and usually more expensive than chlorinating compounds, making bromine poorly suited for sanitizing the high volume of water in swimming pools. Biguanides is the only effective alternative to chlorine and is based on hydrogen peroxide. It’s available under several trade names. Relatively few pools (perhaps only 5%) rely on biguanides. At temperatures over 80 degrees, water may become cloudy. Biguanides also becomes less effective at these temperatures, negatively impacting water chemistry. For these reasons Biguanides are not a serious solution for pools in the Sun Belt of the USA, where most residential pools are. There are many mechanical and erosion type physical sanitizing alternatives that help with water purification but are not as effective at destroying microbes, therefore they still require the use of chlorine at lower levels than chlorine alone. The use of some chlorine in addition to the alternative is recommended for safety reasons in residential pool sand required by code in commercial pools. 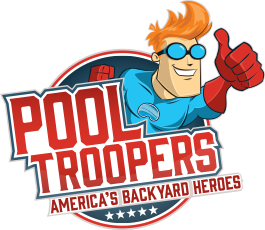 They’re helpers but shouldn’t be relied on to do the whole job of purifying swimming pools. However, in a spa environment, they may work very well. Both copper and silver can help to control bacteria and algae. Makers of these erosion systems often point to the fact that these metals were recognized for their beneficial properties many centuries before anyone knew bacteria existed. These systems work by sending ions with a positive charge into the water where they are attracted to contaminants with negative charges. The copper and silver ions disrupt the cells they are attached to. If enough ions pile onto the contaminant, it becomes large enough to be filtered out. These systems can be either active or passive. An active system uses low voltage current to speed the positive ions into the pool’s water. Passive systems rely on mineral pellets slowly dissolving in a chamber, releasing positively charged ions into water passing through the chamber. 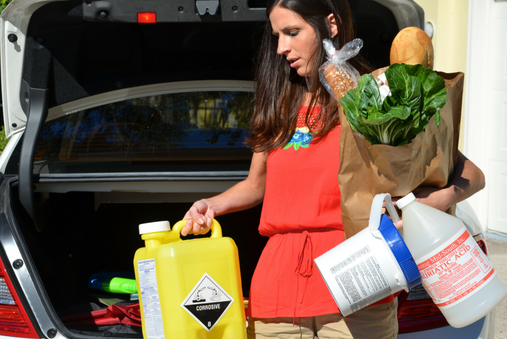 Ozone is a very powerful sanitizer and oxidizer. The problem with ozone as a main sanitizer is it has a very short half-life in pools usually less than 30 minutes. So, as soon as the pool system is off or if the machine creating the ozone breaks down there is effectively no sanitizer in the pool. For this reason all pools utilizing ozone must also have chlorine as a backup sanitizer even at low levels. The ozone molecule has an extremely short life. Most sanitizing occurs immediately post ozone injection point in the pool’s plumbing to allow the ozone molecules to come into contact with as many microbes and other contaminants as possible before the molecule gasses off into the air or decays, becoming ordinary oxygen which won’t sanitize the water. Residual ozone is in the pool but only for a short time. Ozone generators attempt to duplicate the way ozone is naturally produced, either from the sun’s ultraviolet rays or corona discharge (lightning). Equipment can be costly to install and replace. UV Systems sanitize water by exposing it to intense UV light as it passes through the device achieving a good kill rate but only on micro-organisms and pathogens which are in the device. There is no residual so these devices require back up chlorination. UV has similar Pros and Cons to Ozone. Saltwater pools create chlorine through chemical electrolysis by the salt water generator. The water is sanitized, and algae destroyed. You get all of the benefits of chlorine’s ability to destroy the “nasties” without the problems. If you would like to discuss swimming in the least amount of chemicals possible please reach out and give us a call. We are happy to design a system to meet your family’s needs or to speak to you about our passion for all swimmers and commitment to providing the Free Use of our Salt Systems on your pool! Would you like to enjoy the benefits of salt water pools without the cost? 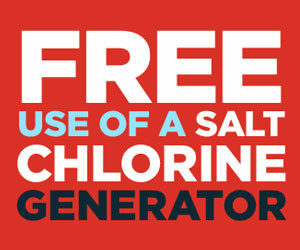 Would you like free use of a salt water generator? You’d have all of the fun, without the hassle. 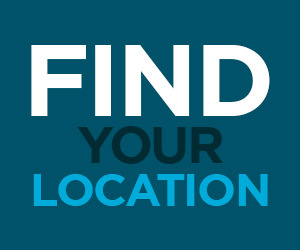 To learn more or get started with your salt water generator and professional maintenance, contact us today.